We believe our excellent safety record comes from our constant focus on training and safety procedures. It is our ultimate goal that all individuals on the job site are safe. We are vigilant about our procedures and equipment to help ensure the safety of all on site. 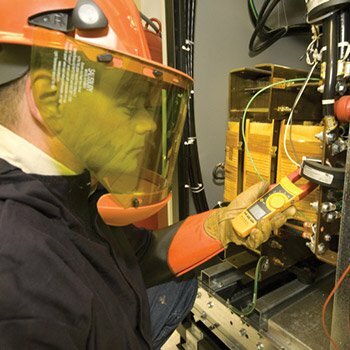 In the past five years, Prism worked more than 8 million man hours with zero lost time injuries that’s 2013-2018. We require all superintendents to have OSHA 30-Hour training and all field staff to have OSHA 10-Hour. Additionally, each project is assigned a safety monitor, who is responsible for upholding Prism’s stringent safety procedures on the job site. 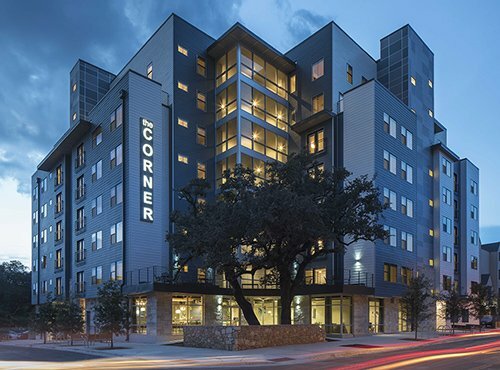 Student housing apartment project located just off the University of Texas at Austin campus. The Corner is an eight-story, 62 unit structure. Units range in size from one to five bedrooms. The facility offers two stories of underground parking.